The revised national budget for 2014 states that the government will focus broadly on developing a technology for CO2 capture and storage (CCS) and that a strategy for CO2 sequestration shall be elaborated. The main objective of the strategy is to identify measures that could contribute to technology development and cost reduction. 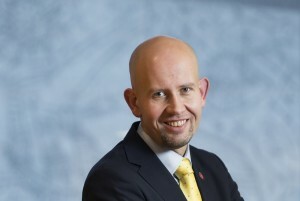 According to Minister of Petroleum and Energy Tord Lien, CO2 capture must become the rule, not the exception. The strategy includes the ambition to establish at least one full-scale CCS facility by 2020. The revised budget thus reiterates what was laid down by the Conservative Party and the Progress Party in the government’s political platform from October 2013. The government will continue to work with the strategy towards the national budget for 2015. It is stated that the CO2 Technology Centre Mongstad will play a central part and that it is a main priority to make sure that it will be utilised in an efficient way. The government points out that the activity at Mongstad so far has provided valuable experience and helped to qualify full-scale industrial capture technology. The construction of the centre has given experience regarding choice of materials, knowledge of different construction methods and cost levels of different elements. The operational phase has provided insight into the energy optimal operation of the capture processes, how the processes behave under different operating conditions, HSE challenges, as well as development and verification of simulation models. “We need to increase knowledge and reduce the costs to bring this technology to the market and make it attractive. Norway and other countries need to continue to actively pursue technology and competence development, and develop projects for CO2 sequestration”, says Tord Lien in a press release. The previous Norwegian government, led by Jens Stoltenberg, decided in September 2013 to drop its plans for a full-scale CCS facility at Mongstad. Bellona was highly critical of the economic estimates that formed the basis for the decision. The new strategy should be welcomed, but it should also be stressed that the plans must materialise if the current government is to prove itself more proficient than its predecessor. The 2015 budget, to be presented later this year, will be decisive.